Ph.D.: Physics, Physics Department, Selcuk University, Konya, TR, March 2005. M.Sc. : Physics, Physics Department, Erciyes University, Kayseri, TR, July 1999. B.S. : Physics, Physics Department, Selcuk University, Konya, TR, June 1994. Assist. Prof.: Physics Department, Selcuk University, March 2006 – Feb. 2009. Assoc. 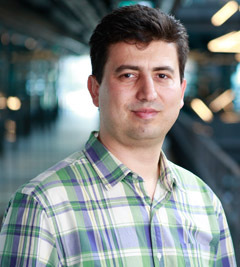 Prof.: Physics Department, Selcuk University, Feb. 2009 – March 2012.